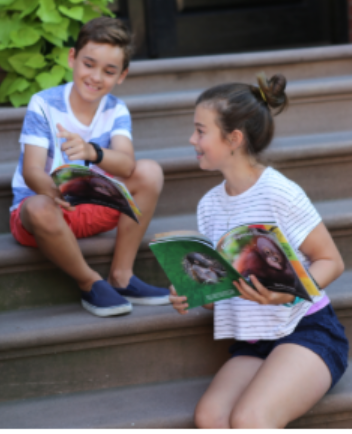 Henry Kurzawa and Maeve Igoe, PS 107 5th graders, celebrate the successful rescue of orphaned orangutan Budi while reading their newly published book. Photo courtesy of Ericka Novotny. Budi’s story is not unique. 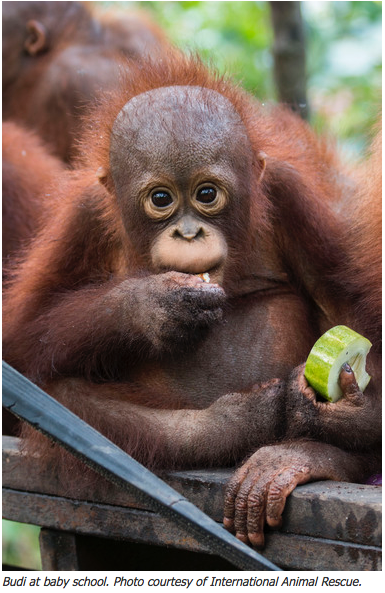 Since the early 1970s, 40 percent of Borneo’s forest cover has disappeared, much of it stripped for oil palm plantations, and that trend will likely continue. 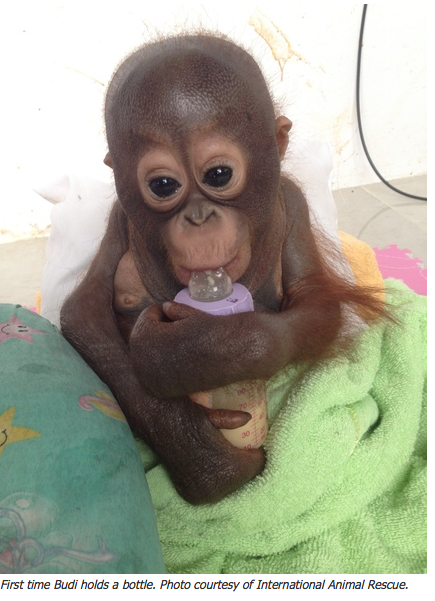 In Kalimantan, for instance, 80 percent of the orangutan’s range isn’t protected, and clearing for oil palm plantations is pushing the apes into ever smaller forest fragments.